Portátiles y netbooks Lenovo 10,1"
2-in-1 tablet and standard Lenovo MIIX laptop, in excellent condition. Lenovo Miix 320-10ICR - 10.1" - Atom x5 Z8350 - 4 GB RAM - 64 GB eMMC. 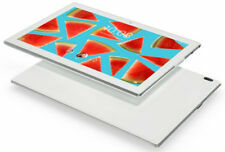 Display: 10.1" LED backlight touchscreen 1280 x 800 / HD. With the Miix 320, you get the best of both worlds. A fully functional laptop and a tablet - in one streamlined, portable device. Boasting a detachable keyboard, long battery life, smooth processing, and productivity-enhancing tools, it enables you to get things done on the go. Combine that with Real Pen, with its 2048 levels of pressure sensitivity, and you’re covered whenever artistic inspiration strikes. Only 0.16” (4.05 mm) thick when opened – that’s thinner than a pencil. Windows 10. Recovery Partition Original Boxing What’s in the Box. C Marks / scratches visible. Screen Surround. Marks / scratches visible. Lenovo Miix 320 - 10.1" Convertible Laptop/Tablet with Keyboard 2GB 32GB, Win 10. 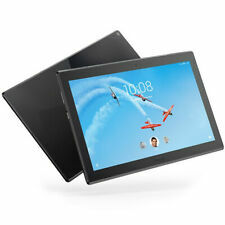 Lenovo Miix 320 - 10.1" 2 in 1 Laptop/Tablet Intel Atom x5, 4GB RAM, 64GB eMMC. Tipo de procesador Celeron. Lenovo Flex 10 Laptop 10.1 "Notebook con pantalla táctil. Lenovo Flex es una PC multimodo delgada y liviana asequible con una pantalla táctil de 10 puntos que voltea 300 °, lo que la hace ideal para trabajar en modo portátil o para entretenimiento, como disfrutar de una película en modo stand. 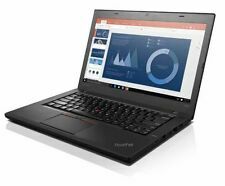 Lenovo Thinkpad X240 Laptop. 1.9GHz i5 CPU. System is in really nice used condition. Very little wear to the touchpad, it's in really nice condition for it's age. Windows 10. Quad Core Pozessor (4 x 1.44). Microsoft Windows 10. 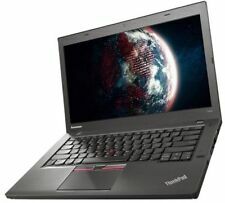 Lenovo Ideapad LAPTOP 10.1" SCREEN. 160GB HDD 1GB RAM USB 2.0 WIFI win7 WEBCAM. 160GB 5400rpm Western Digital Scorpio Blue. 1GB PC2-5300 DDR2 SDRAM 667MHz. 1 x LAPTOP. What will you get?. All refurbished units are in 100% working condition. Storage Capacity: 64GB. MPN: Lenovo YB1-X90F. Real Pen, Halo Keyboard, Ulta Thin, 13h battery life, Windows 10, Dolby Audio Premium. Type: Tablet. Screen Size: 10.1in. Lenovo 100S 10.1". 1x Lenovo 100S. As part of the sale you"ll receive. Windows 10. Recovery Partition Original Boxing What’s in the Box. USB, WIFI, Webcam, HDMI. Ports & Extras. Portátil con Windows 7 Starter (inglés británico). Esta laptop ha sido limpiada, probada, reformado. Es una opción excelente para oficina, hogar, o la escuela y la Universidad. Open Office está instalado. Intel® Celeron® N4000 Prozessor (bis zu 2,6 GHz), Dual-Core 25,4 cm (10") WXGA 16:9 Touch LED Display (entspiegelt), Webcam 4 GB RAM , 64 GB EMMC Intel UHD 600 Grafik, USB 3.0, WLAN-ac, BT, LTE Windows 10 Home 64 Bit, Akkulaufzeit bis 13 h, 1,3 kg . YOGA BOOK YB1-X90F ATOM X5 SYST 64GB 4GB LITE 10.01 ANDROID SP. Das Miix 320 vereint das Beste aus zwei Welten. 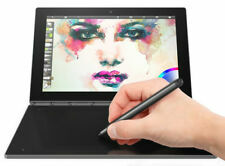 Ein voll funktionales Notebook und ein Tablet –. Miix 320 der ideale Partner für Arbeit und Freizeit. Das Miix 320 wechselt je nach Bedarf mühelos den Modus. Used Lenovo ideapad MIIX 310-101CR 2-in-1 laptop with detachable 10.1" touchscreen tablet and keyboard. Ideapad has the following features;. Storage 32 GB eMMC. Screen has had a protective film on it from new and never removed so screen itself should be free of marks. CAPACIDAD HDD<60 GB. Vende los productosque ya no utilices. 14 días de. Estamos para ayudarte. Disponibilidad: En existencia. CAPACIDAD SSDNO. TECNOLOGIA ALMACENAMIENTOHDD. SISTEMA OPERATIVOWINDOWS 10. Lenovo Yoga Yoga Book. Product type: Hybrid (2-in-1), Form factor: Convertible (Folder). Display diagonal: 25.6 cm (10.1"), Display resolution: 1920 x 1200 pixels, Touchscreen. On-board graphics adapter. This Lenovo MIIX 310 is in good condition with scratches on the lid but the screen is in excellent condition. Lenovo MIIX 310 2 in 1, AC power adapter. Hard Drive. 3.5 mm jack. Box Contents. Windows 10. Bildschirm-Diagonale: 12,5". Notebook inklusive 2 Akkus und 230-V-Netzteil. Ein Akku ist im Gerät fest verbaut, der 2. kann durch den Nutzer getauscht werden. Tastaturlayout QWERTZ (deutsch) beleuchtet. Storage 1TB 5400RPM SATA 6Gb/s 2.5" Hard Drive. Processor AMD A10-7300 1.9GHz up to 3.2GHz, 4MB Cache, 4 Cores/4 Threads. Graphics Integrated: AMD Radeon R6 Graphics. 1x Lenovo Z50-75 Laptop. 1x Lenovo 65W Power Adapter. 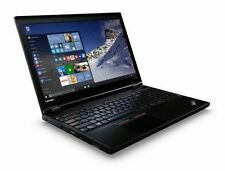 Lenovo 81H3000EGE IdeaPad D330-10IGM - Celeron - 2 GB DDR4 - 25.7 cm - 10.1 "
Lenovo 81H3000EGE. 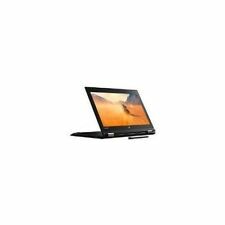 Lenovo IdeaPad D330-10IGM - Celeron - 2 GB. Prodotti 100% originali, nuovi di zecca - eeemarket non vende prodotti usati o contraffatti - MAI! Descrizioni precise dei prodotti. PERCHE' NOI / WHY EEEMARKET. PC Atom X5 (Z8350) 1.44GH. STORAGE 32GB EMMC. Lenovo Miix 320 - 10.1" Convertible Laptop/Tablet with Keyboard 2GB 32GB, Win 10 PRO. All you have to decide is which of the two stylish colors to have: Iron Grey or Pear White?. The Miix 320’s stunning 10.1" screen lights up everything in rich, vibrant detail. Manufacturer Part Number: 81MD000AUK. Product Model: 81MD000AUK. Product Family: IdeaPad D330-10IGM. Touchscreen: Yes. Product Line: IdeaPad. Finger Print Reader: No. Manufacturer: Lenovo Group Limited. Lenovo Yoga YOGA Book. 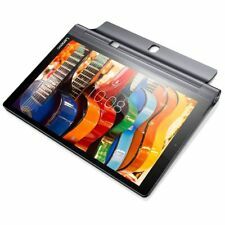 Product type: Hybrid (2-in-1), Form factor: Convertible (Folder). Display diagonal: 25.6 cm (10.1"), HD type: Full HD, Display resolution: 1920 x 1200 pixels, Touchscreen. Total storage capacity: 128 GB. Manufacturer Part Number: 81MD000JUK. Product Model: 81MD000JUK. IdeaPad D330 (10"). Product Family: IdeaPad D330-10IGM. Product Line: IdeaPad. Touchscreen: Yes. Finger Print Reader: No. Manufacturer: Lenovo Group Limited. Manufacturer Part Number: 81MD000EUK. Product Model: 81MD000EUK. IdeaPad D330 (10"). Product Family: IdeaPad D330-10IGM. Product Line: IdeaPad. Touchscreen: Yes. Finger Print Reader: No. Manufacturer: Lenovo Group Limited. Manufacturer Part Number: 81MD000EUK. Product Model: 81MD000EUK. Product Family: IdeaPad D330-10IGM. Touchscreen: Yes. Product Line: IdeaPad. Finger Print Reader: No. Manufacturer: Lenovo Group Limited. Series MIIX 310. Hardware Platform Windows. Color Silver. Average Battery Life (in hours) 10 hours. Number of HDMI Ports 1. Number of USB 2.0 Ports 3. Wireless Type 802.11bgn. Connectivity Type Wi-Fi. Lenovo Ideapad Miix 300-10IBY Atom-Z3735F 1.3GHz 2GB RAM 32GB HDD 10.1" 2 in 1. Dispatched with eBay delivery – Shutl 2-3 days. From multitasking to connecting with friends online and streaming shows, the D330 gives you the freedom to do more, anywhere. Lenovo IdeaPad D330. 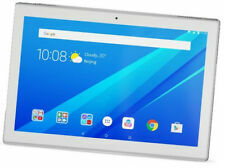 Product type: Hybrid (2-in-1), Form factor: Convertible (Detachable). With the Miix 320, you get the best of both worlds. A fully functional laptop and a tablet—in one streamlined, portable device. Boasting a detachable keyboard, 10-hour battery life, smooth processing, and productivity-enhancing tools, it enables you to get things done on the go, pronto. Portátiles y netbooks Lenovo 14,5"